I went to a Ford dealer as was interested in 1-3 year old Fiestas. I preferred the B-Max. Why are there so few of them? 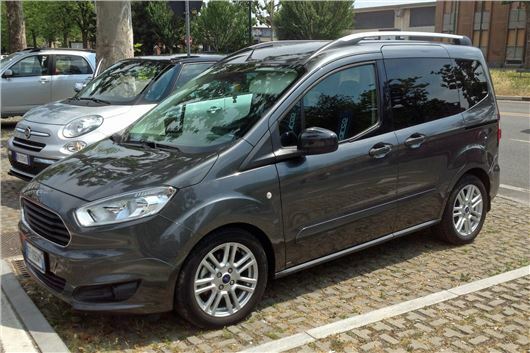 Hasn't been selling to the extent that I think Ford is now dropping the model, possibly to replace it with a more basic MPV based on the Courier van. My wife has a five-year old SEAT Altea 1.6 diesel with a DSG gearbox. We are just about to have the cambelt etc changed. I’ve seen your advise having the gearbox fluid replaced at 40k miles. My local SEAT dealer has told me there is no maintenance required on our gearbox as it’s a fairly late model. This seems at odds with your advice and it worries me as we had problems in the past with an auto box on a Rover 75 because the fluid was not changed. Is it still possible to change the fluid on this box and if so what goes in it and I will get my local garage to do it? Official VAG advice is that if the fluid in the dry clutch DSG was changed to mineral, or if it originally came with mineral fluid, there is no need to change the fluid as you have to on a wet clutch DSG. Independents say get it changed every 4 years or 40,000 miles. I will soon return to the UK after working overseas and would like to treat myself to a smart car for a change. I do about 18,000 miles a year. However, most of those I'm especially interested in such as a Mercedes C-Class estate or Audi A5 or BMW 3 GT seem to be diesels. I'm wary of a diesel given the unhelpfully vague warnings and threats from government, so may end up going for a Skoda Octavia or Superb 1.4TSI petrol. Am I being unreasonably pessimistic? For 18,000 miles a year you can just about justify an EU6 diesel, but better to lease one than to own one. I was doing some sums yesterday and the fuel saving over 20,000 miles averages about £750, against which you have to set the (sometimes) higher purchase price of the diesel, having to add AdBlue and potential emissions system problems after 3-4 years. My 2008 VW Passat 2.0TDI has 170,000 on the clock. The recent service advised a new cambelt and front console bushels. I was about to get this done and then had several breakdowns and now I need new injectors. Not yet sure whether its one or all four. The quotes I have had are around £400 each injector. My gut instinct is to get rid of the car (I don't know if it's worth anything to anybody). But at the moment, replacing a family car is very daunting financially. Am I mad to throw more money at this well looked after car? I don't think this will be the first substantial expense you suffer so I would move the car on. The timing belt, tensioner, waterpump and aux belt will be at least £500. You don't want to spend that, plus the money for the bushes, plus the money for the injectors that could total £3,000 on a car that has done 170,000 miles. I have opted out of my company's car scheme for over 13 years, doing about 20k miles a year in my own cars over this time. This month, one of my colleagues quit and my territory has just become the whole of the UK. This could double my mileage and the result will trash the resale value of my car. I have seen some high-mileage lease schemes, but wonder if I should now opt into my company's car scheme to ease the financial pain of this new mileage requirement. Basically I'm looking for the most cost effective way of driving a V60 D4, and as ever your opinion is of great interest. For something like 40k miles a year I think the company should take the financial hit, not you. Everything is fixable, by the right people at the appropriate price (that may be unacceptable). The problem was caused by trying to save money and being incompetent. A battery corrected the wrong way round can blow and burn out circuits throughout the car. It is possible that a good auto electrician could fix it, given time and enough money. Nothing to do with the FIAT/Chrysler connection. Everything to do with employing the wrong people. The only concession and only franchise still operating for Chrysler in the UK is FIAT Chrysler Jeep. Nothing to do with the old, ill-fated Daimler/Chrysler. I have a 2010 A6 Avant 2.0 TDI 170bhp Le Mans edition. All services and MoTs have been carried out by Audi. Mileage is 71k. No mechanical issues until 20th April 2017. Then the engine management light came on and it lost power. Audi ran diagnostics and a coil was replaced. At the same time the fuel injection came up as a problem. When having my MoT, service and NOx emissions fix completed, the fuel injection problem had disappeared, so no action was taken. 4 weeks later the engine management light came on and power was lost. Pulled over, called Audi, then when I re-started the car the light had gone out and didn't come back on, but I anyway booked my car in for Tuesday this week to get the problem sorted. Saturday night the car became 'bubbly' when ticking over, when slowing down at junctions. It then stalled, and failed to re-start. The car was recovered, Audi Assist came out on Monday and diagnosed a problem with fuel injection and the car was sent to Audi Birmingham on Tuesday. This morning I have been told that the whole fuel system needs replacing as swarf has been found, at a cost of £5.5k. My car is worth £8.5k, now worthless and also not working. Do you know of any specialists in Wiltshire? I'm writing on behalf of my Mum who is having trouble with her much- loved 2003 BMW E46 320ci Sports Convertible Automatic. In March 2017 at 52,562 miles the engine started to cut out at very low speeds, ie junctions, traffic jams, etc. A local garage changed the spark plugs and ignition coil at a cost of £176.18, but it brought no improvement. In April our local BMW dealership investigated and suggests we had a new gearbox at a cost of £5,800, but with no guarantee this would cure the fault. As it's a 13-year old car and although in perfect condition is now only worth around £2,000 we were rather hesitant. We opted instead, at the suggestion of BMW Germany to have the torque converter replaced and new gaskets. This cost £1,840.09. No improvement. The dealership offered to buy the car for £2,000. It is a beautiful car that I have loved to drive (less than 2,000 miles a year). I am so upset that it needs a new gearbox after 51,562 miles. Is there any other avenue we can explore? All you can do is find an independent automatic transmission specialist to rebuild the transmission by going to http://www.fedauto.co.uk/ The model is covered here: https://classics.honestjohn.co.uk/reviews/bmw/3-series-e46/?section=buying/ Automatic transmission failure is a weakness because the transmissions are not designed for the fluid to be changed, but this needs to be done after 100,000 miles or 10 years whichever comes first. I was caught by a manned speed camera in a police van allegedly travelling at 38mph in a 30 limit. I have received the offer of a driver improvement course, rather than a fine and points or attending court. Is there any point in asking for evidence re when they last calibrated the equipment, or should I just accept the driver improvement course? No. You're getting a slap on the wrist. If you challenge it, the risk is they take the case to a magistrate and you get 6 points and a huge income related fine. I am buying a used car from a dealer later today for my grandson. It currently has road tax. Can I drive the car home and then purchase my own road tax on line? Will the seller need to give me any forms to enable me to do this? Also, the seller has assured me that he will guarantee the car for one month. I thought that he should offer more than that. Can you advise? As long as the car is still registered to the previous owner who taxed it and you are insured to drive it you can drive it. As soon as you re-register it in your name, that tax is voided and you have to tax it. If the vendor is a trader he is liable for any faults that could have been present or developing on the car on date of sale for 6 months from the date of sale. Obviously, if it’s a car sold for less than £2,000, that liability is limited. I currently have a November 2013 Ford Kuga Titanium X Ginger Ale, manual, 1.6 Ecoboost petrol engine in, as far as I can tell, new condition with 10,100 miles on the clock. I have a new Scooter (Days Strider ST6) and need a vehicle that will accommodate this unit. It is 1,650mm long by 740mm wide by 1,270mm high and weighs 178kg. I would prefer an automatic (but can manage a manual) with a powerful engine (2.0 litre +) fitted with the extras that I am familiar with, such as Synch 3, Rear camera, Front / Rear sensors enabling park assist, Climate control (DEATC), Active City Stop, Either Diesel or Petrol. Nearly new - preferably 2016 / 2017 plates. There are many on the market and I am happy to go to about £22k, but would prefer £18-20k. Many have a relatively small engine with little punch; hence my desire of 2.0 litre +. Make does not bother me but, whilst being disabled, I have had 4 Fords and like the make: The Tourneo Custom has caught my eye so far, but I would receive any advice you may have to offer with gratitude.